Few people will recognize the remnants of this plant. 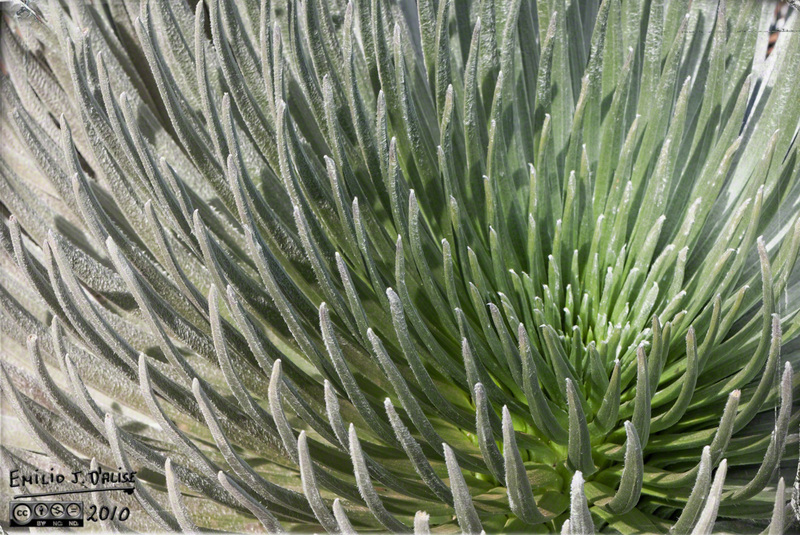 It grows in one specific place on Earth, and flowers once it reaches approximately 1.5 feet in diameter. 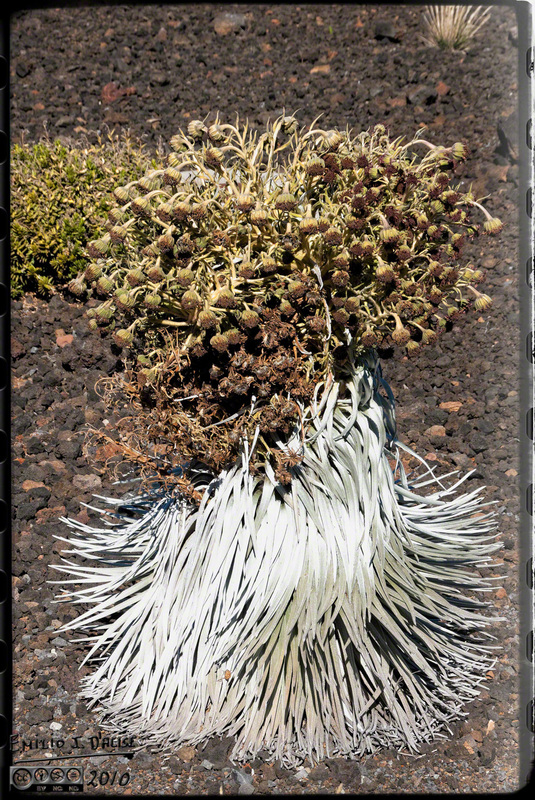 That can take longer than 50 years, and once it flowers . . .
. . . it dies. Good question, Bob. As I said, only one place on Earth . . .
Again, few people will recognize the landscape. It looks a bit like Mars, except for, you know, the clouds and the Pacific Ocean in the background. 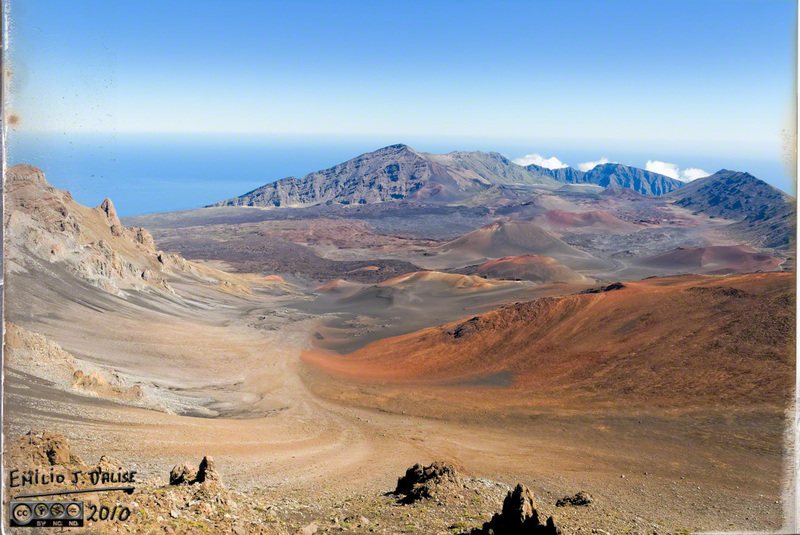 You are looking at the Haleakalā caldera on Maui, Hawaii. 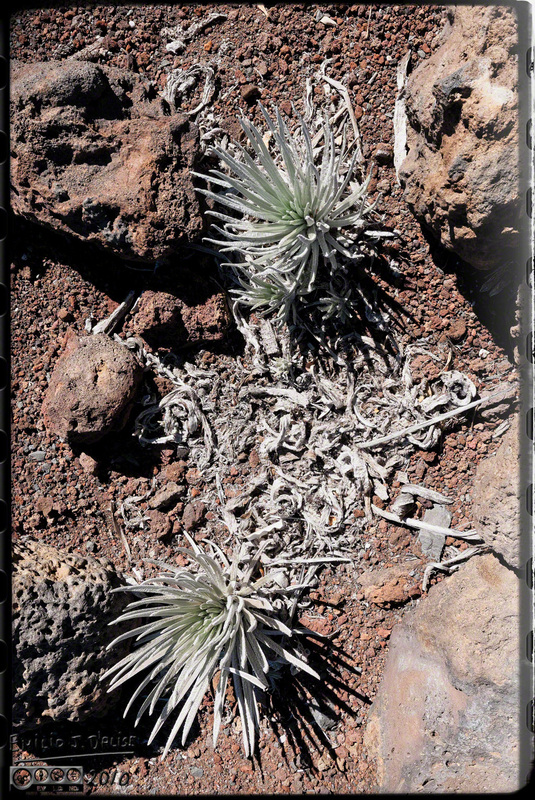 And the plant is the Haleakalā silversword, Argyroxiphium sandwicense subsp. 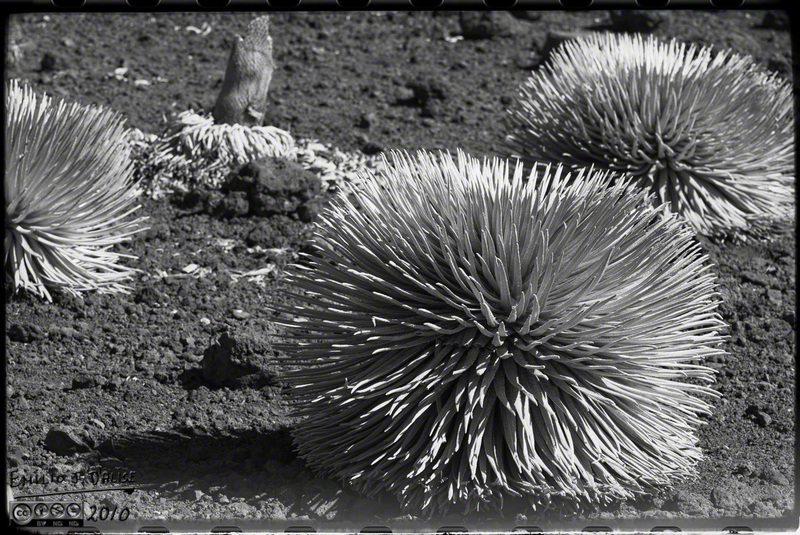 macrocephalum. That’s the Wiki entry, but you can also read the NP entry HERE. Before I proceed, I should mention a couple of things. Beginning with the last six posts, clicking on any photo will open a larger version of the photo in a new tab or window. Not a full-size version; for that you still have to go to the associated SmugMug gallery, which for this and the previous six posts is HERE (http://smu.gs/1aMXksK). But, the linked photo is large enough for most screens. I should also mention WordPerfect has a habit of messing up links. If clicking on the photo does not work, I’m afraid the only recourse is SmugMug. Some might also wonder about the previous six posts . . . well, each one got individually more visitors (and 4x the number of views) in one day than my usually longer posts get in a week. What was unique about those six posts was this . . . no titles, no identifying caption, and no writing. It confirmed my theory I would do much better just posting a random few photos every day, and write very little or nothing at all (the concept behind many of the 365 projects). It saddens me a bit, but it also does give me a quick out on those days when I don’t have a post ready; slap up a few photos, and stand back. Oh, and those also got me an additional eight subscribers. I mean, most will not stay around once I’m writing again (like now), but it points to the power of random, unexplained photos. I like writing stuff, so let me continue for the much lower number of visitors this will get. 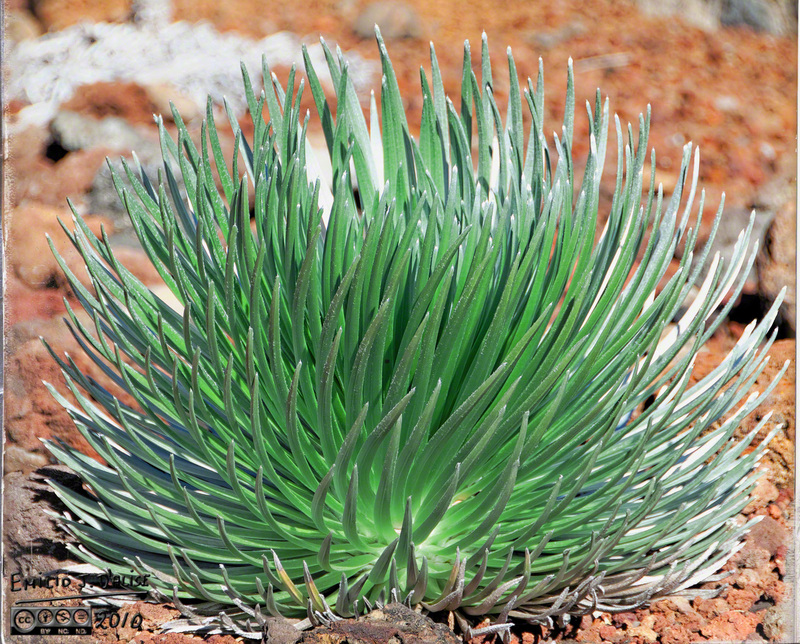 I first saw silverswords in 1990, our first trip to the Sandwich Islands, and was mesmerized by the plant. 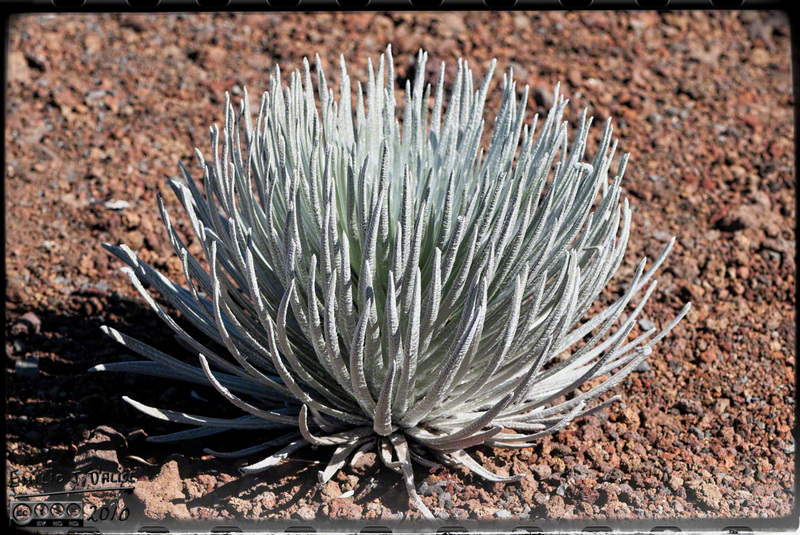 Looking at the photo above gives you an idea why they are named silverswords, but this next photo might bring it home and park it in your memory . . . They also make great subjects for B&W photographs. Hmm . . . not a great composition; how about this one? Unfortunately, here comes the sad part . . . these plants are dying off. It may be that eventually the only place to see them will be in greenhouses. Another thing . . . I don’t personally find the flowers all that attractive. They are impressive, yes, with the stalk sometimes as tall as a person, but the flowers themselves . . . meh. Some of the plants did look like they were struggling . . . But many looked very healthy . . .
And some looked amazing . . .
Hey! . . . a decent subject for B&W. No, not the above; this next one. 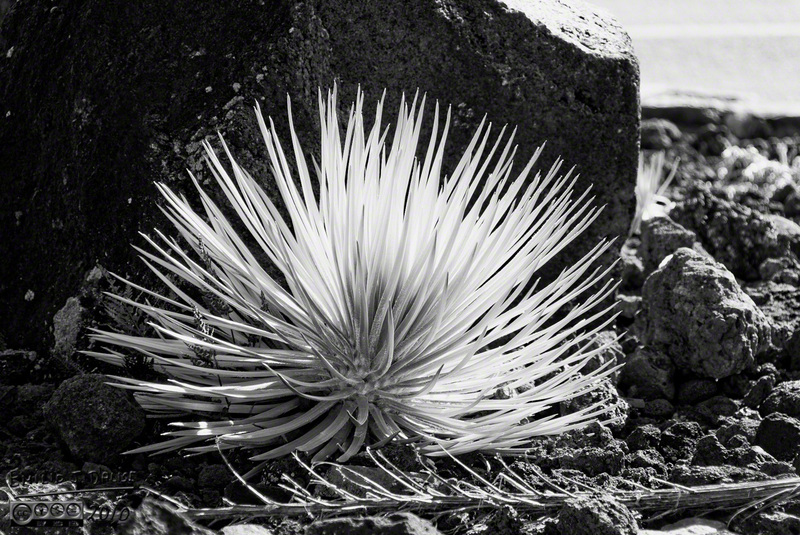 Black and White or in Color, silverswords are definitely worth the drive up the side of a sleeping volcano. 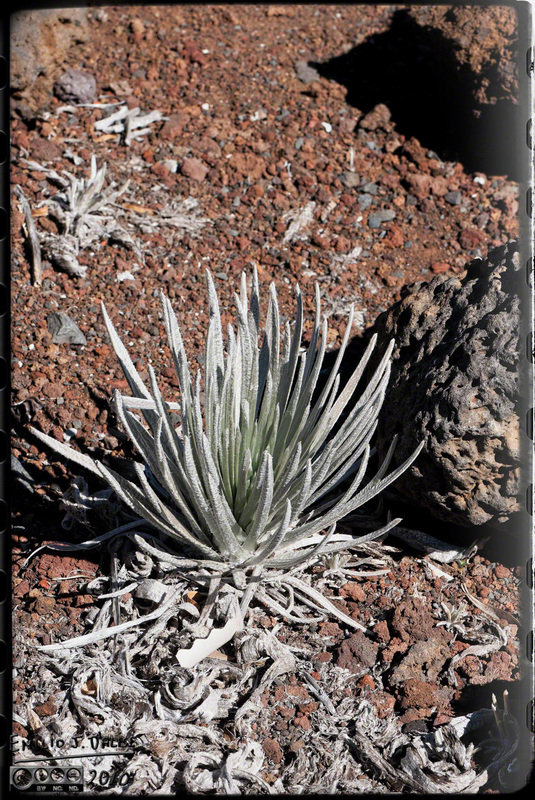 This entry was posted in Black & White, Flowers, Hawaii, Photography Stuff, Travel Stuff, Wildflowers and tagged flowers, Haleakala, Hawaii, Photographs, Photography, photography stuff, scenery, Silversword, Stuff, travel. Bookmark the permalink. I like your pictures. I like it when you write about your pictures. Which is why I usually read all your posts…that, and a curiosity about what you are up to this time. You never disappoint. Thanks, Sandy . . . I too prefer writing a few words with the pictures. I think I might start doing posts, and then adding “bonus photos ” as separate posts. Mainly to give me more time to write my regular stuff, and avoid having 3-4 days without anything. Or, I’ll change my mind . . .
. . . one of the benefits of being old, I would think. 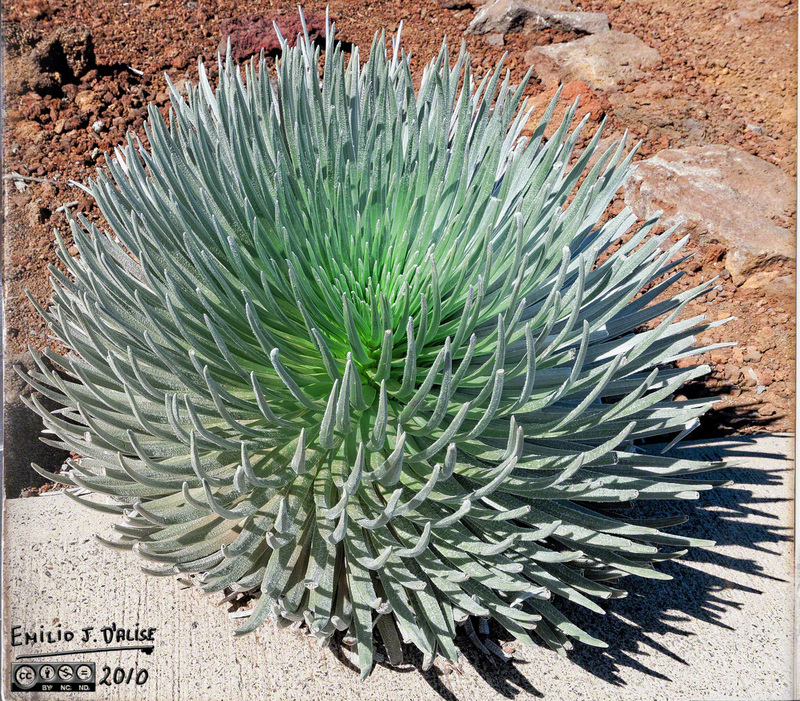 The silverswords is a gorgeous plant, but that’s only my opinion. It does photograph well and I’ll bet some macros would work well. And I read the whole thing. Time for my nap, now. Come on! . . . this was a short one. 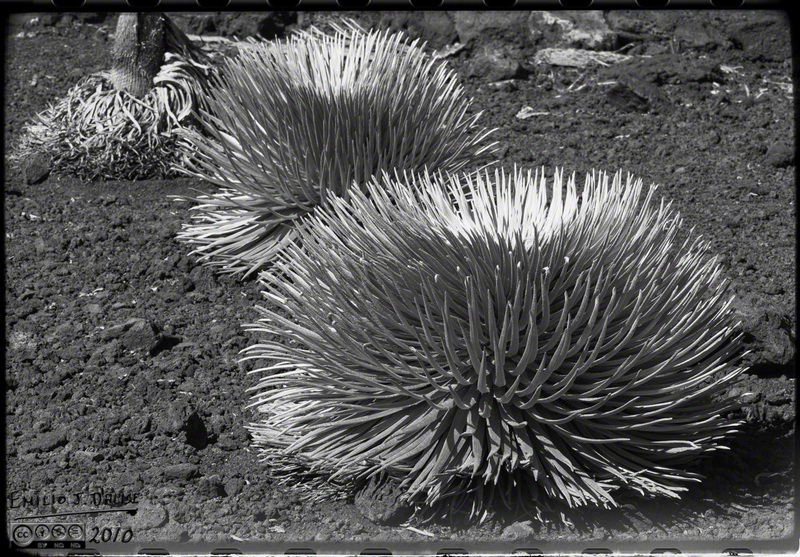 They remind me of Tribbles, I hope they survive. 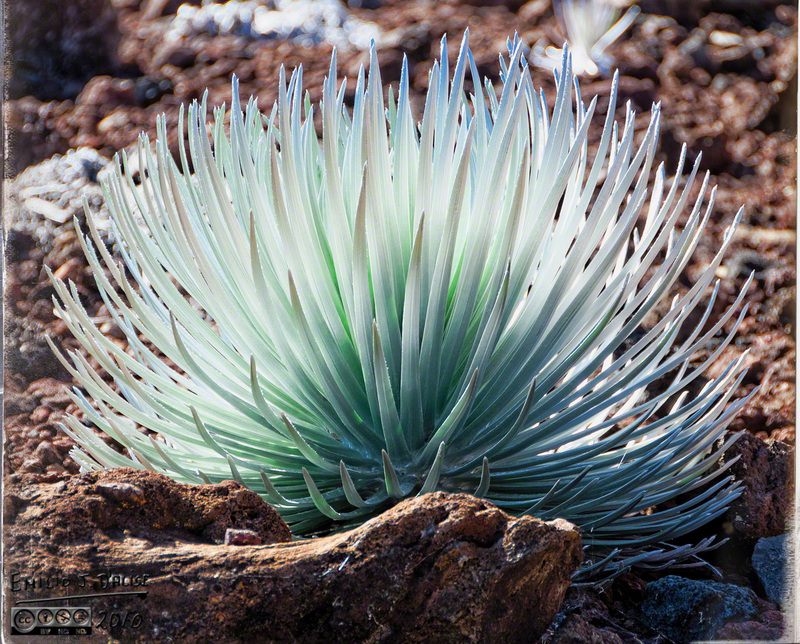 At the very least those silverswords are good subjects–great shots. 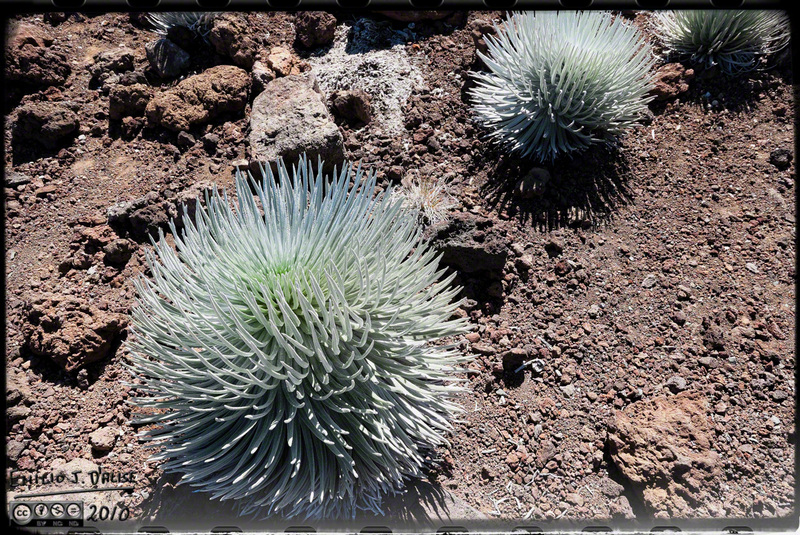 That is a beautiful plant…kind of otherworldly. I like when you share about the photos you post. I always learn something.
. . . the talking horse must have been a surprise . . . 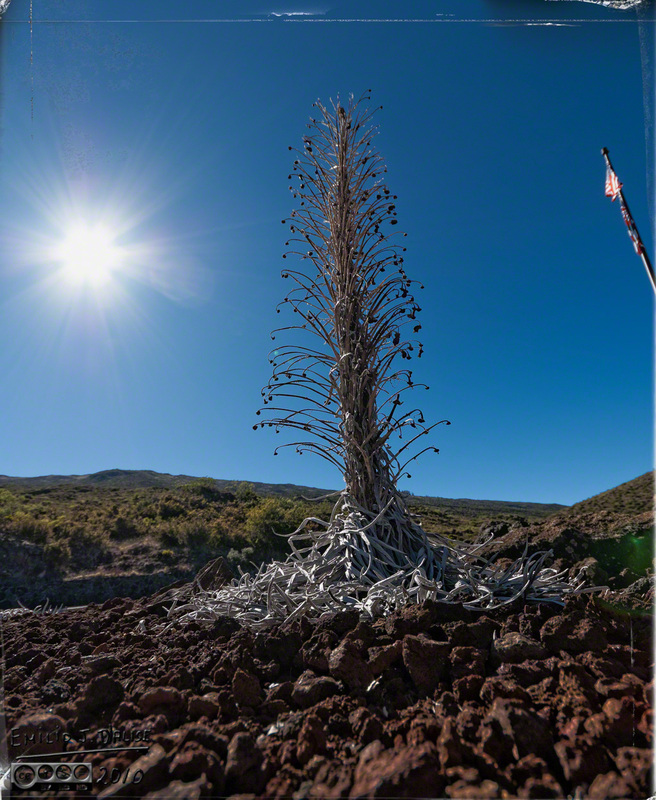 The place is a bit otherworldly; the caldera is as alien-looking as anyplace we’ve ever been. My husband and I went to Maui on our honeymoon. We took a trip up the Volcano to see the sunset and I’ve got a great picture of him next to a really massive silver sword. I happen to think that watching the sunset is a much better experience than the sunrise. Everyone goes up there for the sunrise and your shoulder to shoulder with about a thousand people. For sunset there were probably only 20 people at the summit. Much more laid back! We’ve never done either (sunset or sunrise) as Melisa does not like traveling up or down winding roads in the dark. I don’t mind it except . . . there are other people either going up or coming down and they likely bunch up on the switchbacks; not good for my inner peace.
. . . we do enjoy the ones on the water. We always meant to go back up for Sunrise. But I wanted to do a sunset first because I had never driven up the mountain before and I wanted to get the lay of the land in the sunlight first. But, we never actually wanted to get up that early on our honeymoon, so we never went back up. But the road to Hana I think we did that about three times. The first time I drove out there I was nice and careful, but when we drove back I was a maniac! Just flying around the corners because I was comfortable and all the tourists had gone home. We had the road home to ourselves. The next time we went out we went all the way around the island and down the unpaved side of the road. You should only do that if you have an SUV, which we did. It was fantastic! My wife kind of hates the road to Hana as I tend to get rather impatient with other drivers . . . I don’t understand why; I’ve never hit anyone. What a gorgeous plant! The green/blue/silver color combo is positively explosive! Gorgeous, gorgeous plant and colors!!! Did I mention that before? Yes, you did. 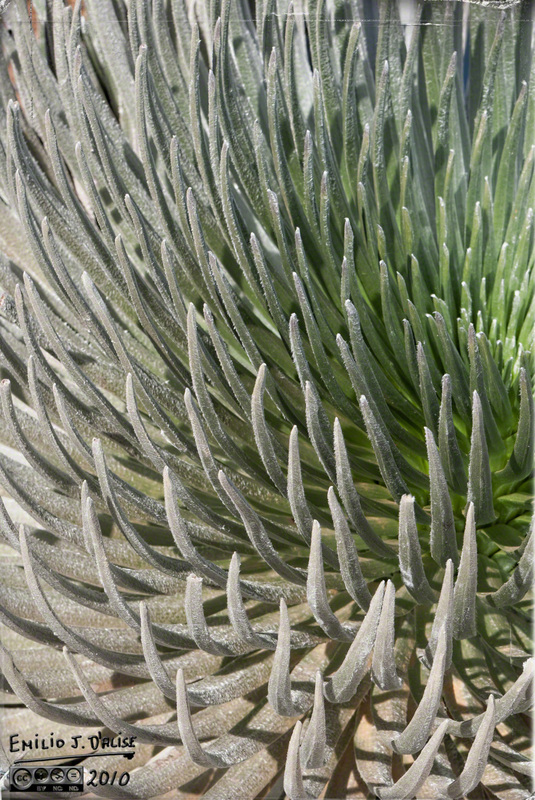 They are striking plants both in person and in photos.